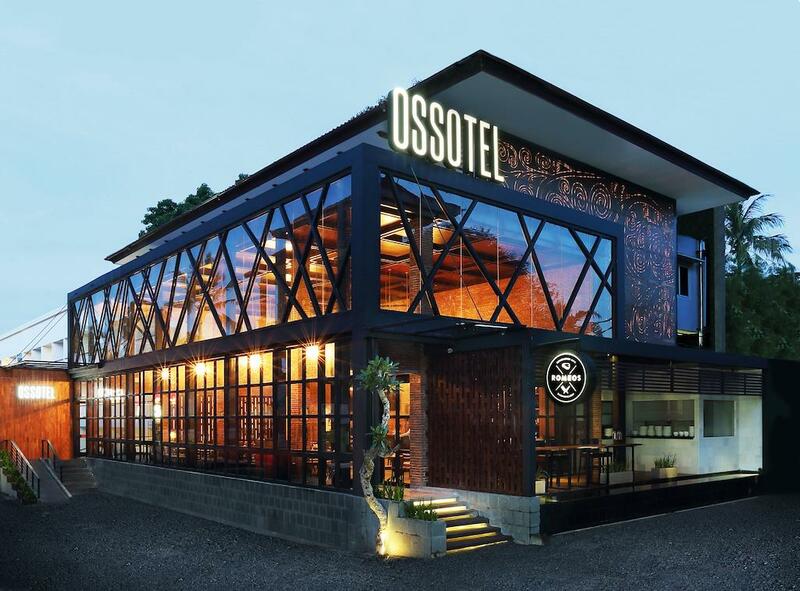 OSSOTEL hotel in Legian is organic in its conception and operation, stylish but not pretentious. 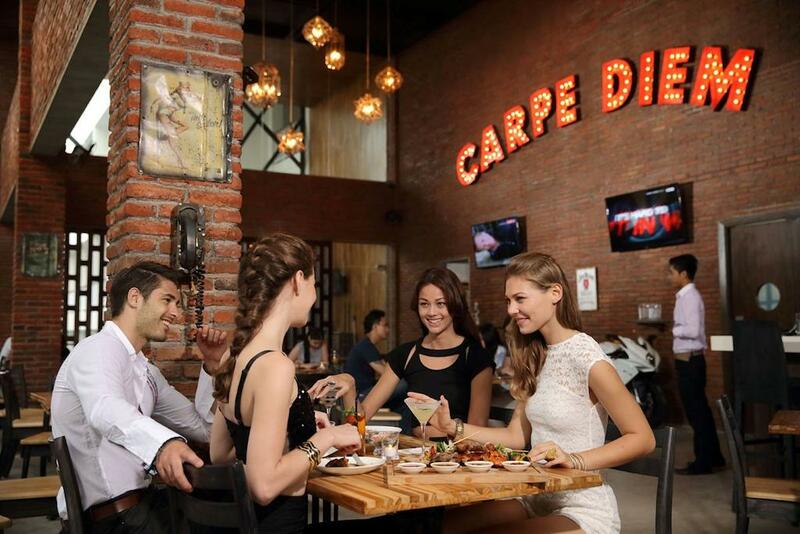 We are modern, we like simple pleasures and design that works. The modern tropical design fuses simplicity and functionality, from the architecture to our tailored service showcasing a new breed of Balinese hospitality amongst Bali modern hotels. 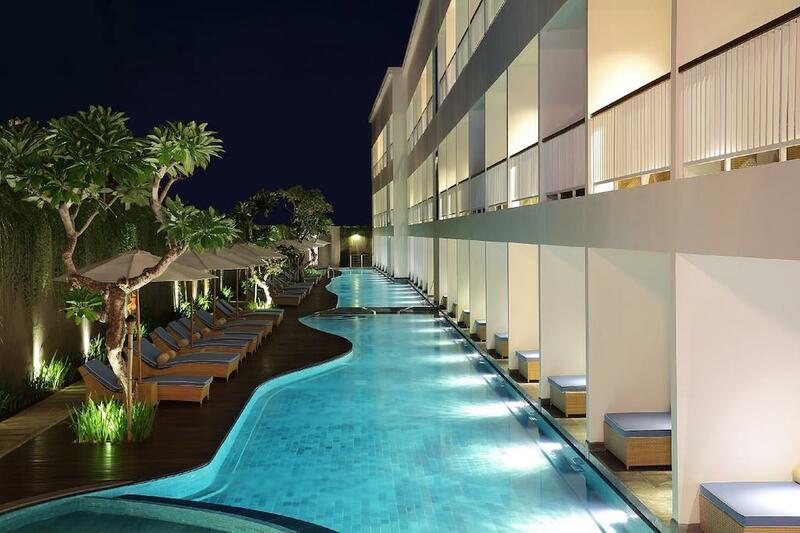 OSSOTEL sits right in the centre of the iconic Padma Legian beach neighbourhood, a stone's throw from the ocean and a short walk to the Island's bars, restaurants, and vibrant club scene. Soak up the sun in our 88 metre pool and head to "ROMEOS" Bar and Grillery for a gastronomic experience of culinary delights and signature cocktails in a relaxed rustic ambience.Click here to get unbeatable price for this hotel. 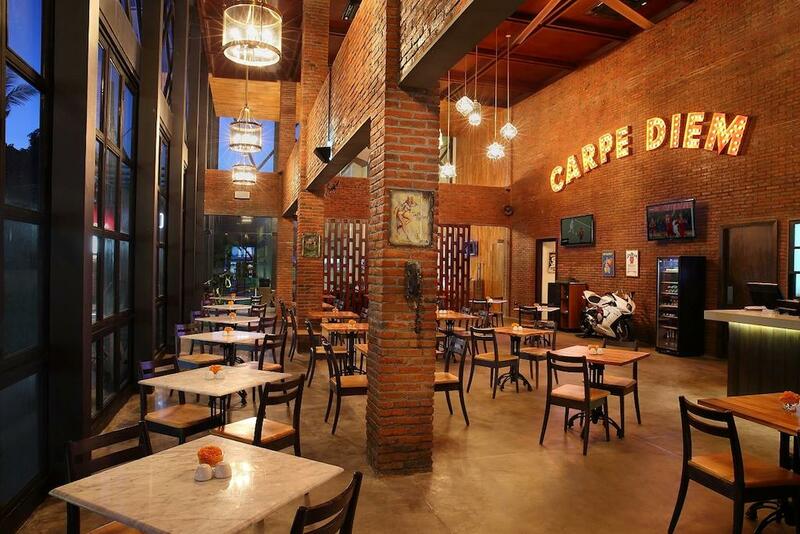 ​Searching for Legian Bali hotels that offer superior accommodation? 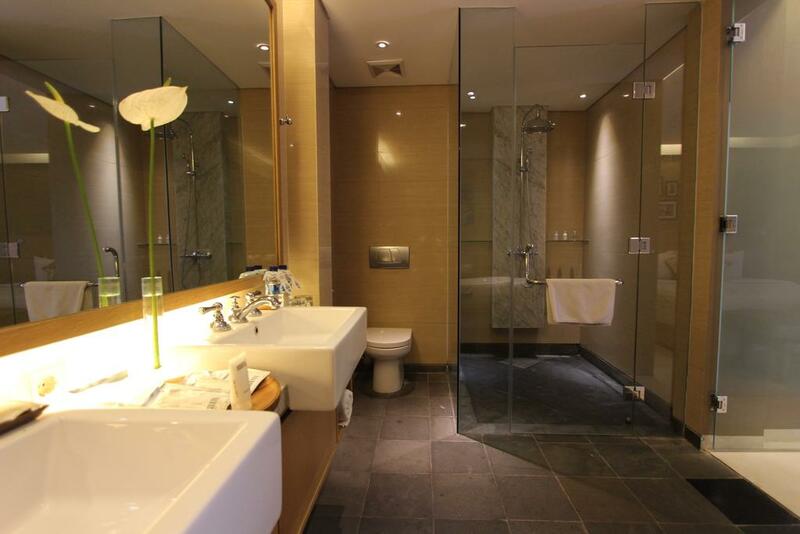 Located on the second and third floor, the Superior Rooms present an affordable representation of luxury. 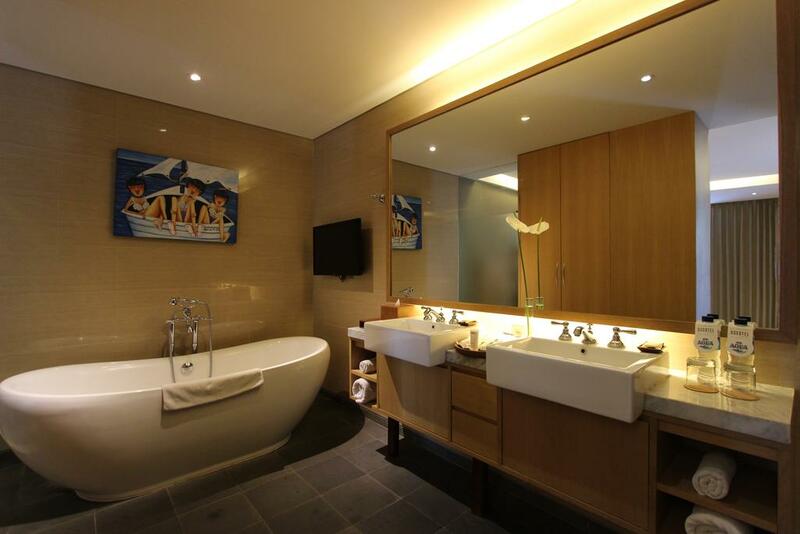 Designed with modern tropical style, each room spreads across 27 sqm and offers a choice of King and Twin bedrooms. The room has also been equipped with facilities ranging from free high speed Wi-Fi connectivity, individually controlled air conditioning, 39‐inch LED TV with 60 cable channels, DVD player, in-room safe deposit box, mini bar, coffee and tea making facilities as well as an en suite bathroom. 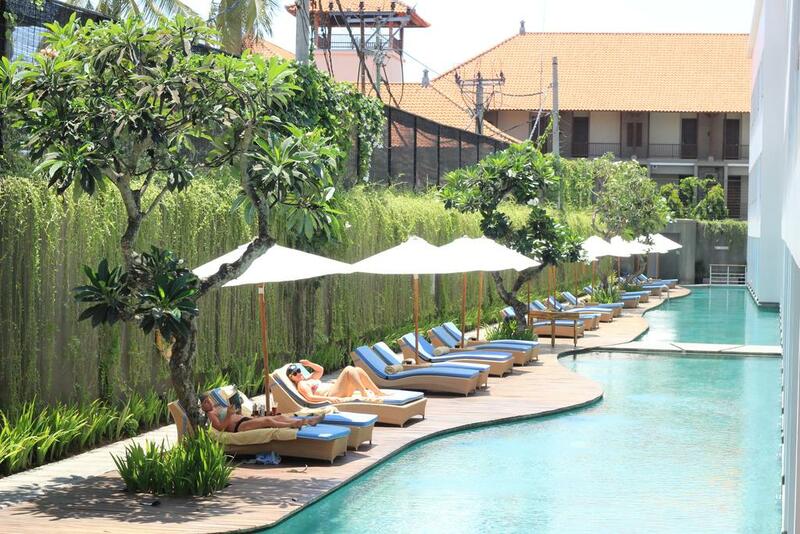 ​With spacious ground floor and private terrace, Deluxe Pool has direct access to lagoon swimming pool. Each elegant room extending across 27 sqm features a choice of King and Twin beds. It’s been equipped with facilities like free high speed Wi‐Fi connection, 39‐inch LED TV with 60 cable channels, DVD player, in-room safe deposit box, individually controlled air conditioning, coffee and tea maker, minibar, en suite bathroom as well as daybed in terrace. Complete with a host of contemporary comforts, the Deluxe Pool room serves as a welcome getaway for the weary traveller looking to check into our modern hotel in Legian. 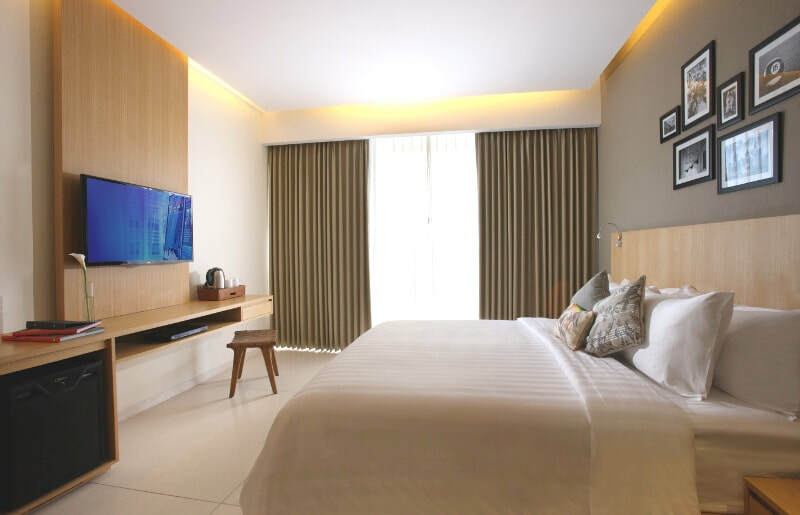 ​Designed with more space and style, our Suite Rooms stand out amongst Bali hotels in Legian and offer 50 sqm of relaxing accommodation. With a total of three units, they are nestled on each floor and equipped with a King size bed and private balcony or terrace overlooking the lagoon swimming pool. For your convenience, it’s also been equipped with free high speed Wi‐Fi connectivity, 55‐inch LED TV with 60 cable channels, DVD player, in-room safe deposit box, individually controlled air conditioning, coffee and tea maker facilities, mini bar and an en suite bathroom with stand alone bathtub.